I wish I could tell you that finding your beloved was as easy as pressing a button that says: find soulmates now. Unfortunately it's not. Instead, it's up to each of us to find our own unique formula for attracting the love of your life. Here are some steps that I recommend is you're sincerely interested in finding your soulmate. Why? Because the first step in creating a soulmate is getting to know your soul. And... you're more likely to consciously create a soulmate when you're committed to your own spiritual awakening (whatever that looks like for you). In other words, work with your soul, instead of fighting it. One way you can get information on your soul purpose is through karmic (spiritual) astrology. Knowing your soul mission (or North Node) will also give you information about your dating style and most optimal way for you to find soulmates. Aries soul mission is about getting out there, taking initiative and making things happen. You will want to know how to ask for what you want. Pisces is more about trusting and learning how to attract. You might want to take up meditation and learn about natural law and the law of attraction. See how it works? I'd also recommend checking out my page showing how you can discover your own soul mission using karmic astrology. 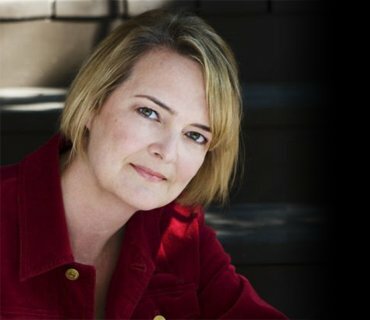 Hire a dating coach for compassionate support and to keep you on track. Do a web search in your area, or check out the web site Your Tango which has a directory of coaches and counselors. Online dating increases the possible ways your soulmate can connect with you. My recommendation for spiritual dating is: Spiritual Singles. Spend time setting up your profile. Tend to online responses. Respond thoughtfully. Meet when intrigued. But keep your priority focused on you. Horrified? Look at it this way. It's an excuse to dress up and get out. 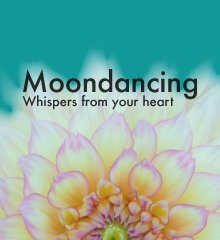 It's also a fun, low risk way to get comfortable asking and answering questions and tuning in to your intuition, and his or her body language. Approach it as a low risk training ground, and you'll have fun and feel at ease when you do meet the one. Plus increase the opportunities that come your way as well. If you've been ‘doing everything’ to meet someone forever and have been met with a wall of exhausted frustration, perhaps it's time to stop the earnest quest to find soulmates and focus on you. Put more emphasis on those things you love to do... just because you love to do them. Get clear about what you want. Go where your heart sings. Hold your soulmate in your mind's eye. Gently, easily. Shine bright! Did you used to play tennis but gave it up? Did you used to do yoga then stopped? Give dinner parties? Drive motorcycles? These would be activities that you used to love and have missed. Follow your intuition on this one. Reconnect with the feeling. Have you always wanted to learn to scuba dive? Climb Mt. Everest? Go on an Italian cooking course in Tuscany? Take tai chi? Play the guitar? What's embedded in your mind and won't let you go? Don't wait. This is exactly where you'll potentially find soulmates. Want some more ideas? 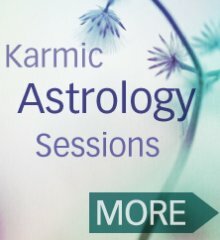 Research the sign of your soul mission using my karmic astrology articles (your North Node, sometimes called True Node). Taurus makes a great photographer or gardener. Capricorn is a natural mountain climber. Aquarius loves astrology and holistic healing. Libra, interior design. Cancer, cooking. Have you always wanted to own a dog? Ride horses? Protect the whales? Dogs are a great way to emotionally connect, and get outside. A friend has a sheepdog and it's amazing who she meets in the doggie park. She attracts busines opportunities, and yes — she also attracts men. Her North Node is in the 6th house of small animals. If you have a 6th house or Virgo North Node, small pets like dogs and cats are emphasized. Saggitarius represents horses and the outdoors. Pisces and the 12th house, large wild animals, especially African. Gemini, believe it or not represents birds. Scorpio, cats. What's your cause? Causes are especially Aquarian, but can apply to all signs on the quest to find soulmates. What makes your heart pound and your blood boil? Is it the environment? Save the dolphins? Local politics? National politics? Women's rights? This is anything that you feel strongly about and are drawn to. What if this is how you'll meet him? Do it for you first. Then, stay open. What if s/he's on your healing path? How's your health? Physically? Emotionally? Be honest. If your energy's lagging, dating may not be your priority right now. What if embarking on a healing journey may be exactly what you need to do to bring a partner in? This may be the case, especially if you have a Virgo/6th house, Scorpio/8th house or Pisces/12th house emphasis in your chart. Of course, if you're feeling good, ramp it up. Hire a personal trainer. Have the resources? Hire a stylist to help you choose colours and styles that flatter you. Something I can't recommend enough: get a professional makeup lesson. Discover your own unique ways to find soulmates.